One of Europe's most experienced FOH Live Sound engineers. I suppose having worked in the Live Sound business for 45 years would qualify me for „Veteran“ status. My first tour in in the UK in 1970 as a trainee was with Traffic (Stevie Winwood etc.). This was followed by tours, concerts and festivals with many artists from Frank Sinatra and Dionne Warwick to Pink Floyd and Bob Marley & the Wailers. Having experienced all positions on a live sound crew and with all styles of the performing arts, it didn’t take long before I started to specialize in FOH sound engineering, combining that position with Tour Management duties. My passion though was mainly for mixing the sound for acoustic-based music, from jazz and folk through to artists with an orchestral backing. In the early 1990’s I moved to Germany, where the corporate event industry was developing. For the next ten years, I worked mainly on high-level, speech-based productions for companies such as Microsoft, BMW, Mercedes-Benz, Deutsche Bank and The Olympic Games. 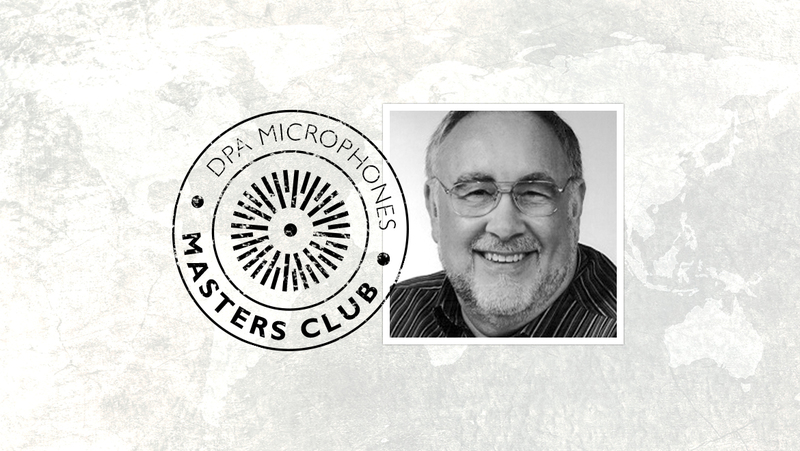 During this time, which was often in conjunction with German Broadcast companies, I was introduced to, and learned to appreciate, the quality of DPA Microphones, particularly the DPA 4088 headset. In 2004 I decided to curtail my event activities and concentrate more on consulting and teaching, passing on the years of gathered experience to younger technicians. Many of the trainees and apprentices I encountered were receiving a predominantly theoretical education, with very little practical knowledge. Through the years I have established a great working relationship with several excellent Pro Audio manufacturers and distributers, whose products I not only recommend but thoroughly enjoy using, and with their help and support, began coaching and giving master classes in Live Sound. Last year, in 2015, I decided to relocate to the UK, and am now delighted to offer my experience to others in the Pro Audio business in Britain and Ireland, together with great companies like DPA and Sound Network. I also run a small, high-quality, sound company, www.specialist-audio.com, which specializes in live sound for acoustic music and corporate events, where speech intelligibility is paramount.